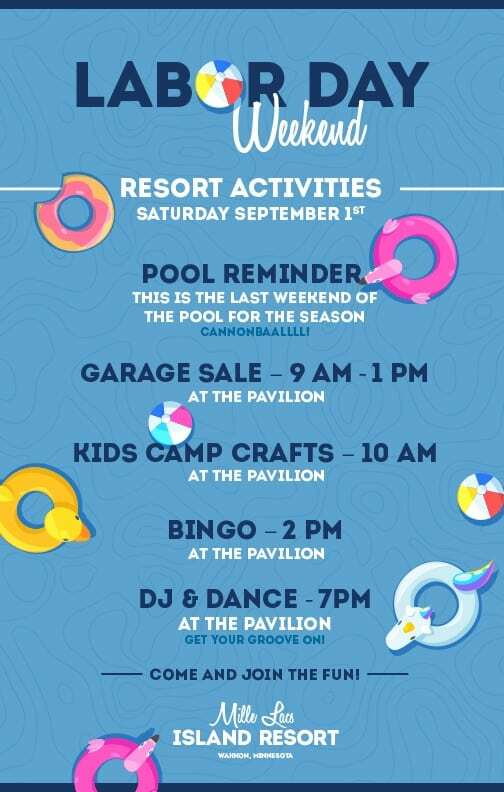 Join us this Saturday for Labor Day weekend activities. Garage sale, kid’s crafts, BINGO and get your groove on at the DJ & dance. Also a reminder this is the last weekend of the pool for the season.